Over the Christmas holiday this year, I traveled home to Lake Tahoe where I grew up. Somewhat reluctantly, I agreed to try skiing again after a twenty year hiatus. I quickly became fascinated with two things. First, how muscle memory perseveres and second, how much more streamlined that entire ski process has become. From entering rental data on computers that save your info, to targeted email campaigns, to advanced season pass scanning that prevents lift ticket fraud, the ski resort world has been revolutionized by data. Being a data geek, I couldn’t wait to look into how much data had shaped the modern day ski experience and how that affects the resorts bottom lines. Here is how big data is revolutionizing ski resorts, and tips you can take away, no matter your industry. Gone are the days of paper tickets. The last time I skied, in the late ‘90s, lift attendants had access to handheld scanners but security checks were only conducted at the busiest lifts. According to the Boston Globe, the ski industry does not compile widespread fraud statistics, but a 2003 study by SKI magazine estimated 8% of overall ticket revenue is lost to theft. With the introduction of RFID systems, resorts now have information on which lifts have been used and by which skiers. In addition to saving the resort’s money, these systems are improving the experience of skiers. RFID stands for Radio Frequency Identification; it is essentially a computer chip smaller than a grain of sand that can track items at a distance. Biztech reported that in the case of Mt. Hood Meadows, customers ranked the lift wait as their number one complaint on a satisfaction survey. Turnstiles are replacing human scanners and saving valuable ski time. Some resorts, including the one I visited, are using RFID to add to the interactive experience. RFID readers track every run and tabulate their lift rides, total number of vertical feet skied, and number of days on the slopes. Skiers can access all of the stats on EpicMix.com. They can also compete against friends and family and win virtual badges for achieving various milestones. Here is an example of a dashboard in action. Skier Vahid is the number one ranking skier in terms of points on EpicMix. As you can see below, Vahid’s dashboard breaks down his session per day in terms of vertical feet, lifts, photos and resort location. He can compete with friends, earn special pins, and track his progress. What is more unpredictable than weather? Despite some things being totally out of control for ski resort executives, there is plenty of data to track that can affect the bottom line more than snow conditions. Many of the top ski resorts are spending valuable resources digging into the big data of consumer behavior. One successful company, Liftopia tracks and mines historical data in order to offer dynamic pricing. For example, on December 23, 2013, Liftopia analyzed the 10,300 searches for tickets and found that 7.3% of those searches resulted in ticket sales. CEO Evan Reece told Eye For Travel they “take that historical demand data and translate it to the next season and then we build a suggested pricing strategy for each day of the season based on the unique attributes of the resort, the region and so on.” Each day has a slightly different pricing structure. Another example of using big data to increase revenue comes into play when you look at season pass renewals. Gregg Blanchard, the man behind the popular blog, Slopefillers, looked at the data behind season pass renewal numbers and found that every day on the mountain leads to a higher increase in renewal rate, with the sweet spot being between 4-6 days on the mountain. So just how do you encourage season pass holders to get those one or two extra days in? You get creative. Squaw Valley offered a free gift card to a restaurant on the mountain to season pass holders that were under that renewal threshold. The value of the gift certificate was a small fraction of the value of next year’s season pass. 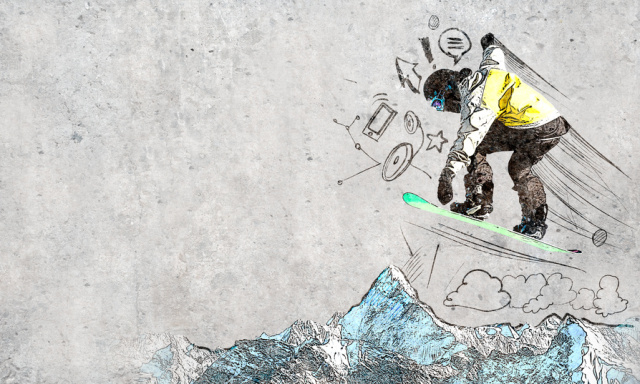 Big data on the slopes plays a key role when it comes to marketing segmentation. Resorts like Vail, use data such as how many days someone skis, what slopes they spend time on, and where in the resort they spend their money to create hyper-targeted email campaigns. Skiers who spend more money on dining and spas receive more luxury offers, while those who spend more time on the mountain would receive emails alerting them to new snowfall. “No matter how insightful the gems you find, they can never tell you what to do next.” To remain competitive companies need to harness the power of big data. McKinsey reports that companies that are more data driven are 5% more productive and 6% more profitable than other companies. While collecting the right data is critical, your data alone can’t tell you what deals to offer that will be successful. You need a team that understands how to read data, glean insights, and experiment. When it comes to winter sports, or retail, or your SaaS startup, being able to have the right data at the right time is key. Several of the interviews I read when researching this article addressed the importance of dashboard software. 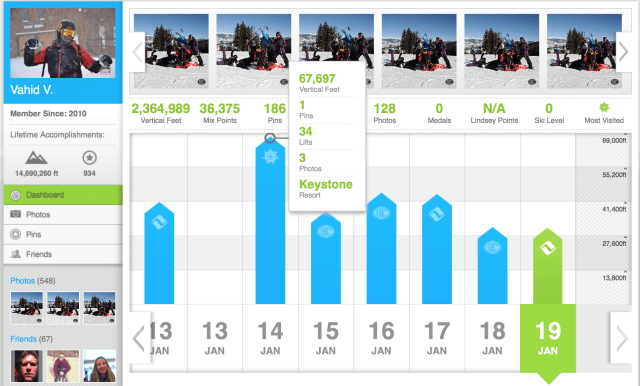 Everyone on your team, from CEO to intern, needs to have access to real-time data in order to discover insights and create strategies like the ones highlighted by ski resorts. We are offering a 14-day free trial right now. datapine enables you to turn your vast amounts of data into meaningful business insights. Give it a spin and be sure to share your success stories with us!